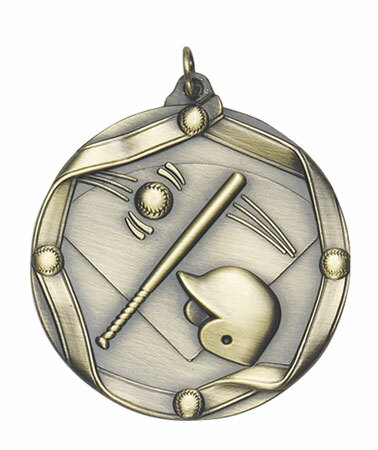 Baseball Medal 2¼". Available in Gold, Silver or Bronze. 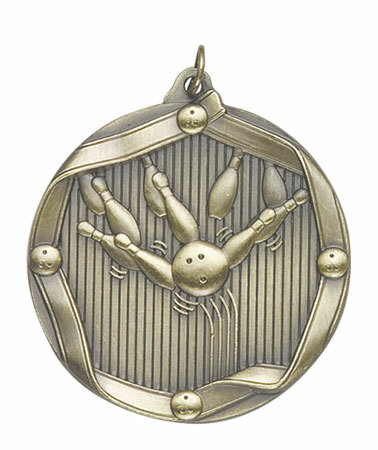 Bowling Medal 2¼". 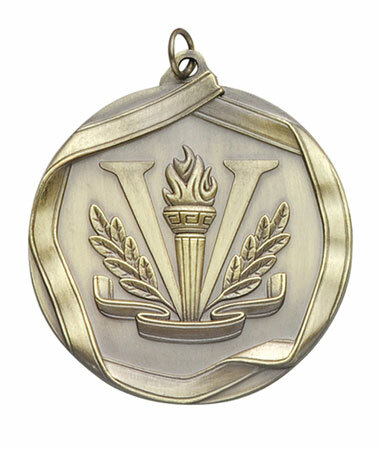 Available in Gold, Silver or Bronze. 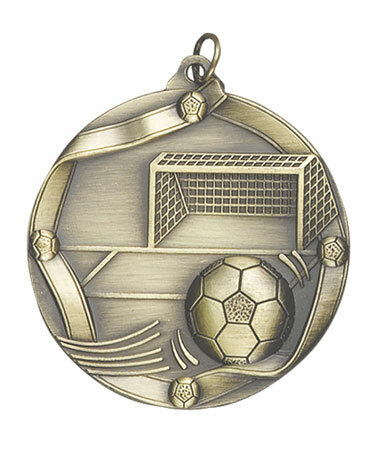 Football Medal 2¼". 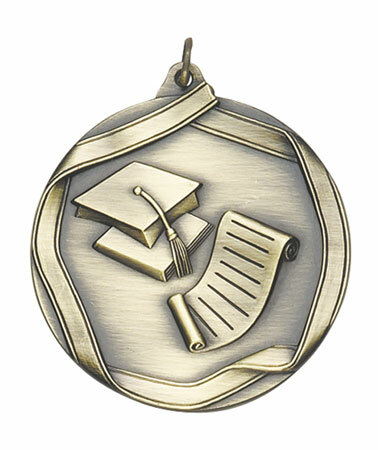 Available in Gold, Silver or Bronze. 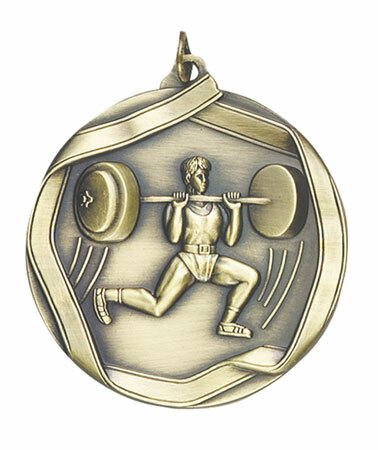 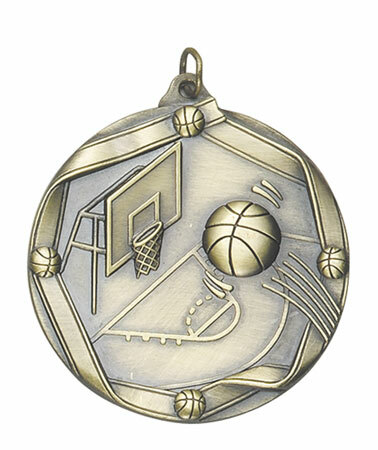 Female Gym Medal 2¼". 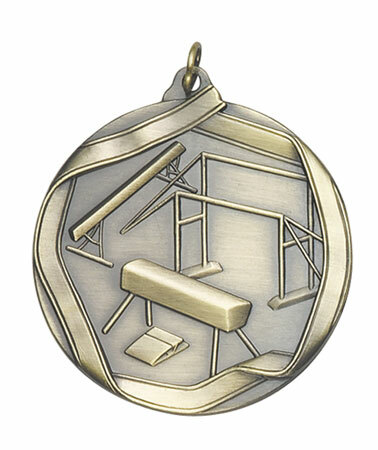 Available in Gold, Silver or Bronze. 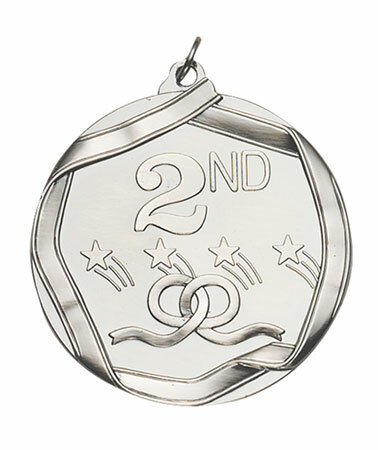 Hockey Medal 2¼". 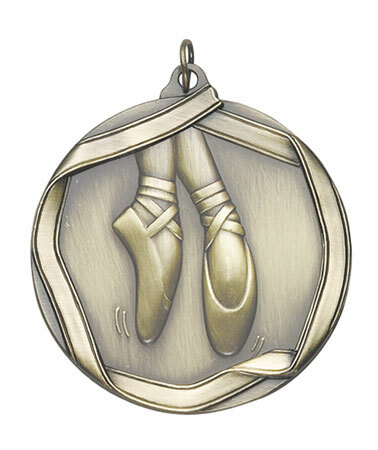 Available in Gold, Silver or Bronze. 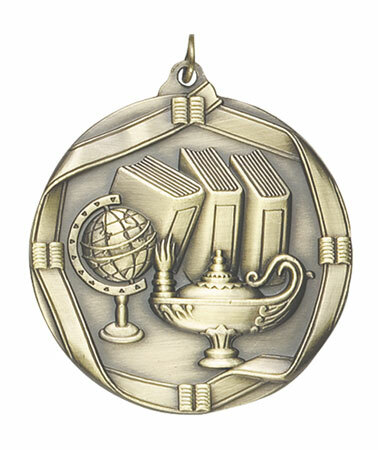 Lamp of Knowledge Medal 2¼". 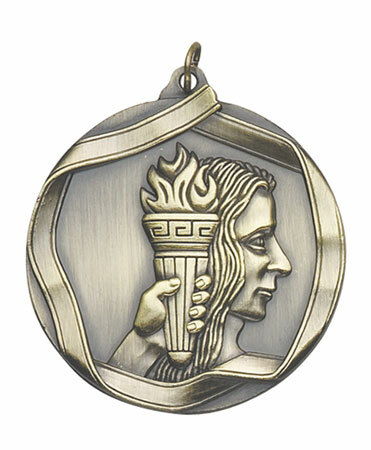 Available in Gold, Silver or Bronze. 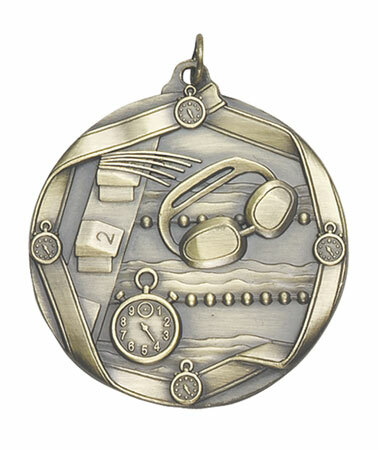 Swimming Medal 2¼". 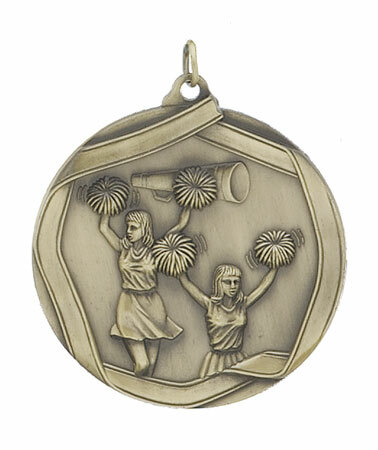 Available in Gold, Silver or Bronze. 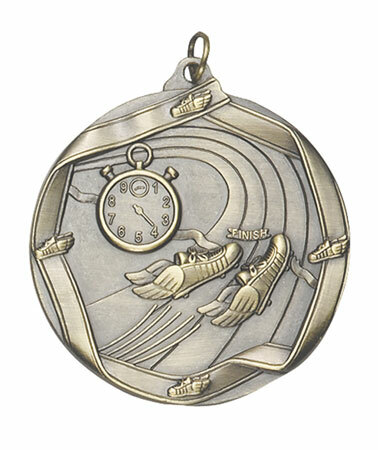 Track Medal 2¼". 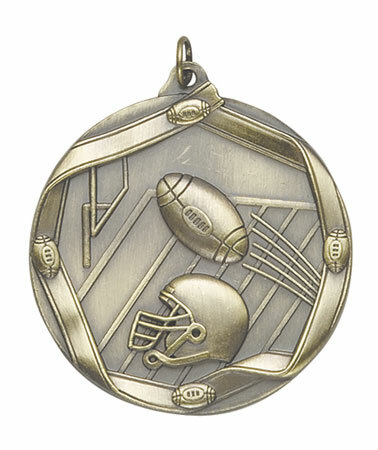 Available in Gold, Silver or Bronze. 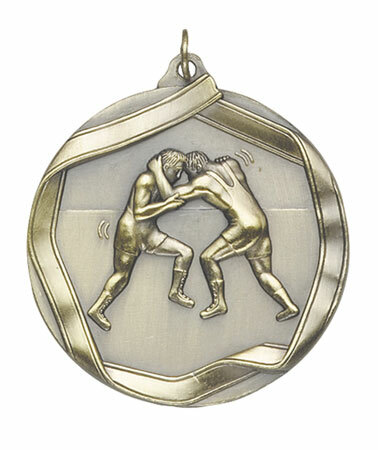 Wrestling Medal 2¼". 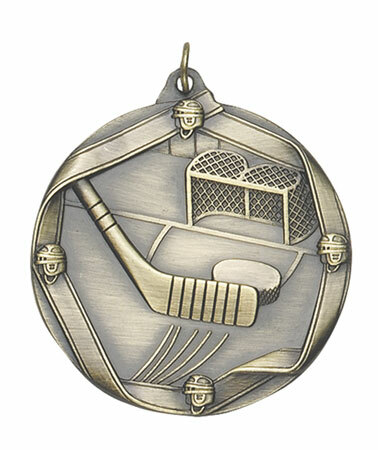 Available in Gold, Silver or Bronze. 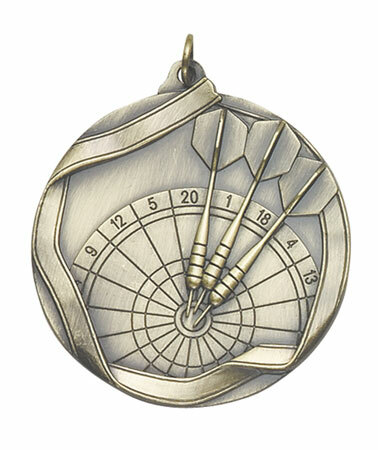 Darts Medal 2¼". 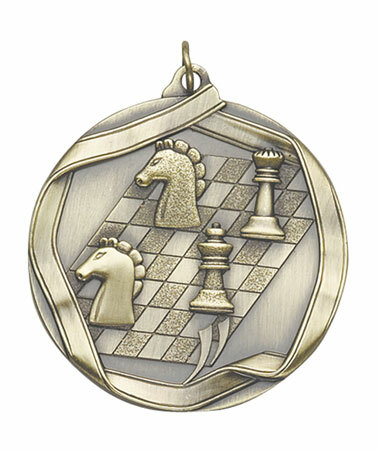 Available in Gold, Silver or Bronze. 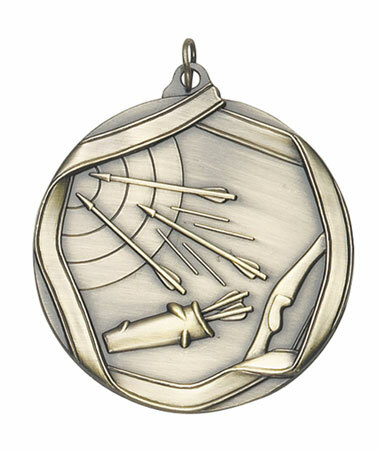 Archery Medal 2¼". 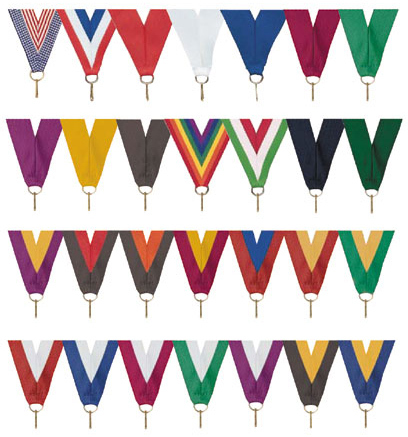 Available in Gold, Silver or Bronze. 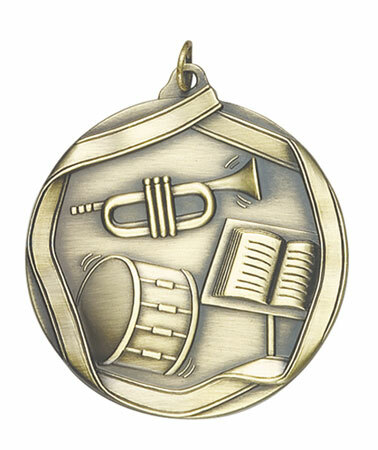 Band Medal 2¼". 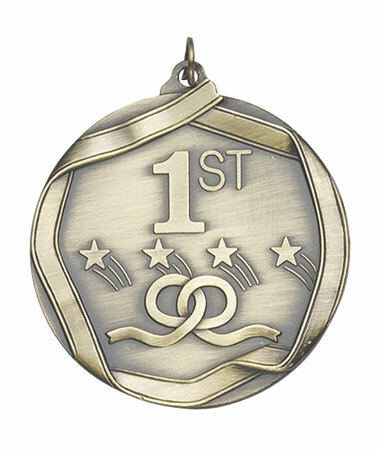 Available in Gold, Silver or Bronze. 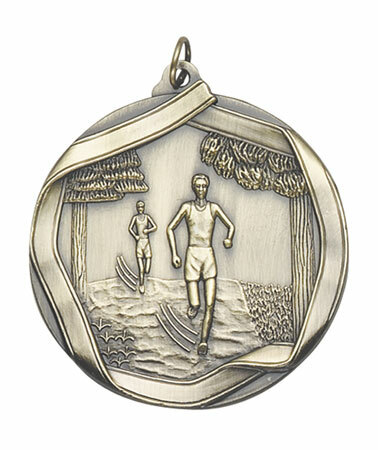 Cross Country Medal 2¼". 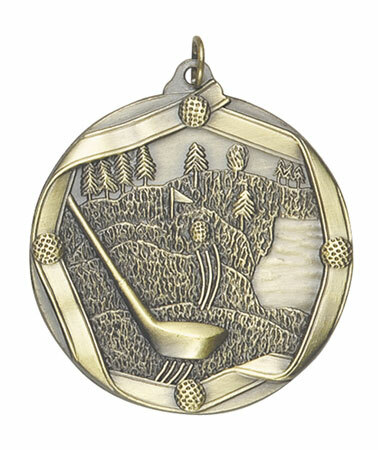 Available in Gold, Silver or Bronze. 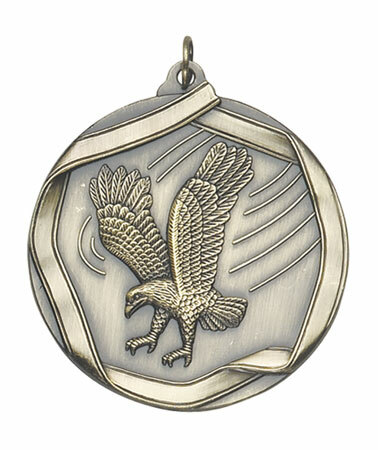 Eagle Medal 2¼". 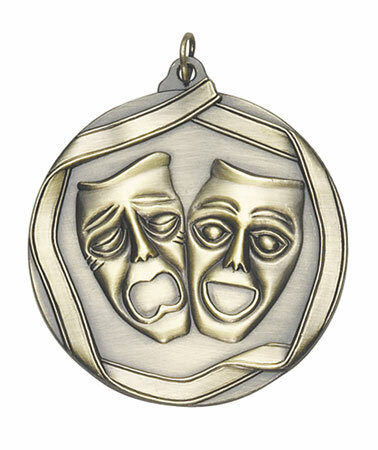 Available in Gold, Silver or Bronze. 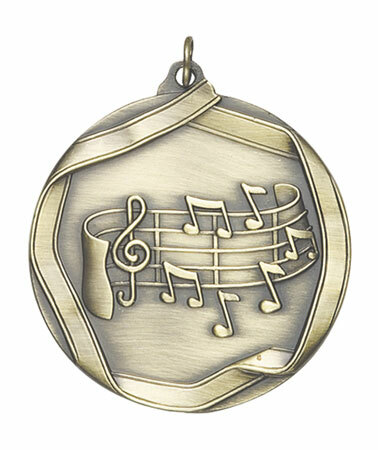 Music Note Medal 2¼". 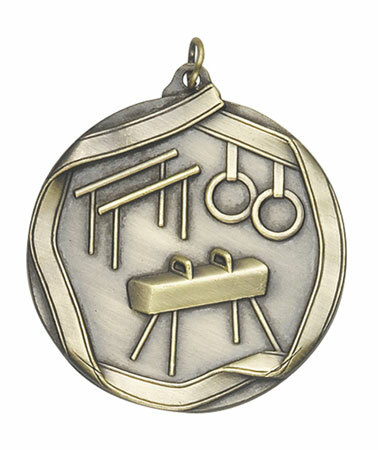 Available in Gold, Silver or Bronze. 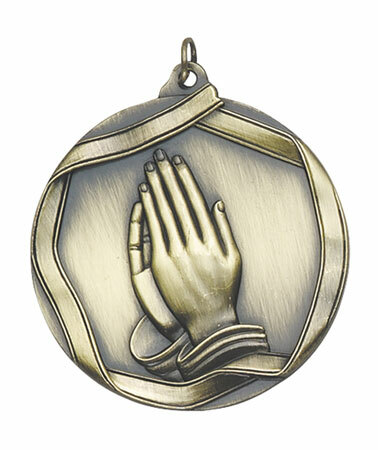 Praying Hands Medal 2¼". 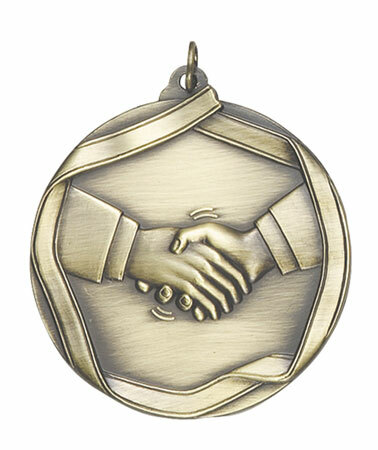 Available in Gold, Silver or Bronze. 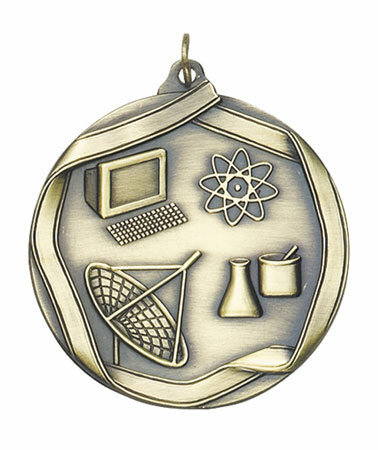 Science Medal 2¼". 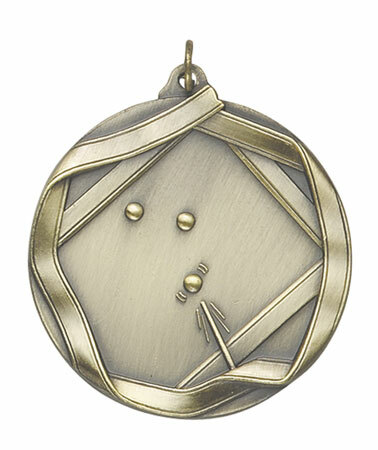 Available in Gold, Silver or Bronze. 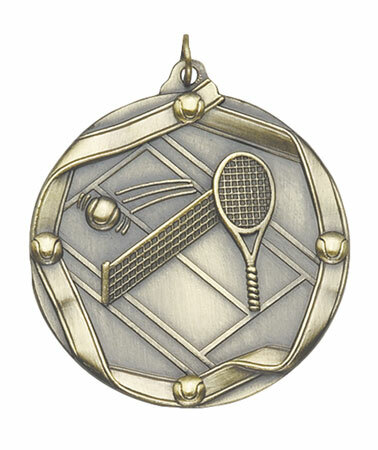 Victory Medal 2¼". 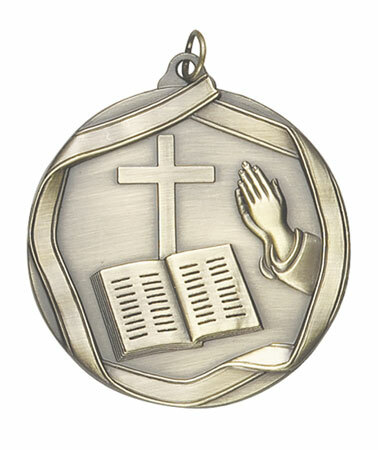 Available in Gold, Silver or Bronze. 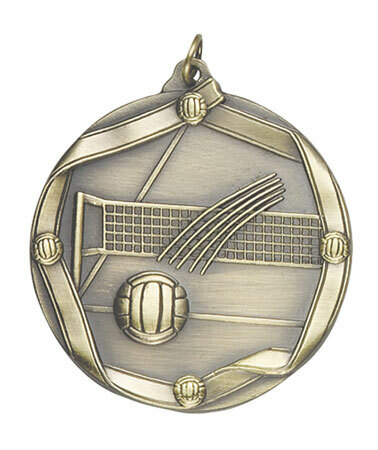 1st Place Medal 2¼". 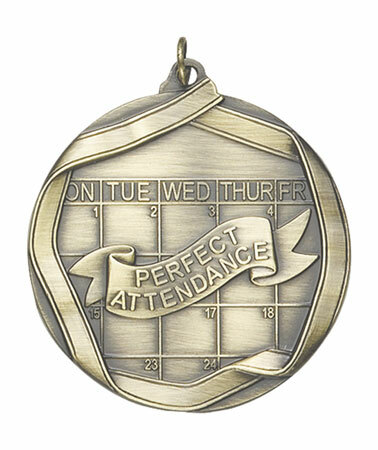 Available in Gold only. 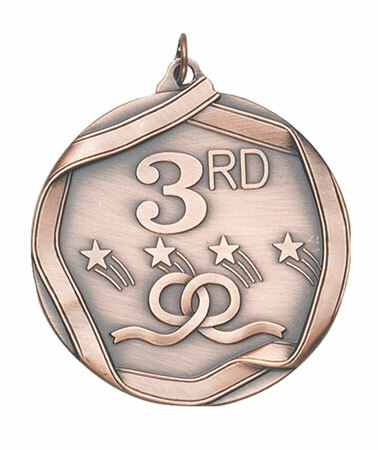 3rd Place Medal 2¼". 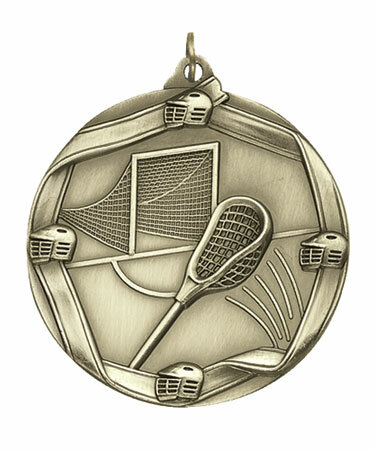 Available in Bronze only.